India is an amazing country with huge diversity, a rich culture and amazing food. If the intensity is not for you, Goa is a good option as it is slightly more westernized. Goa is a place which offers tourists an incredible selection of adventure activities, both land and water based. There are also plenty of gentler activities for those who are not so fond of adrenaline-inducing days out! Windsurfing and surfing are the most popular activities at the beaches Palolem and Patnemand, where the waters are clear and warm, the waves are powerful and there are several bars to enjoy a well-deserved Indian meal and a drink or two. Although Goa is not known as a paradise for surfers, this simply means that the surfers who come here have more space to surf and can enjoy calmer, quieter surroundings. However, windsurfing is another matter; this is hugely popular in Goa, with the busiest season occurring between October and May. Girls having fun on the beach at Goa. Visitors can also participate in parasailing, water skiing and jet skiing here with almost all of the resorts close to the beaches offering equipment and machines for hire. You can ride the waves and enjoy the exhilaration that comes with it, regardless of your level of experience, as both beginners and experts are catered for here. 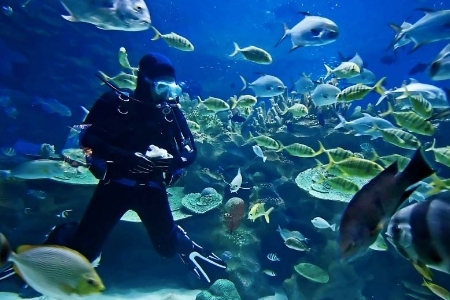 Goa is thought by many to be one of India’s top diving destinations, as the waters here are crystal clear and home to a beautiful array of exotic, coloured fish. The equipment needed for diving is readily available for hire and includes the basic kit of flippers, a mask and a wetsuit. The top diving spots here are the areas around Suzy’s Wreck and Grand Island. A sea kayaking scene from Palolem Beach, Goa. Snorkelling is yet another activity which is well loved in Goa and this is best enjoyed during the months of November and April. Similar to diving, all of the tuition and necessary equipment can be bought. Diving day trips tend to be slightly more expensive than snorkelling, but both are still quite cheap. 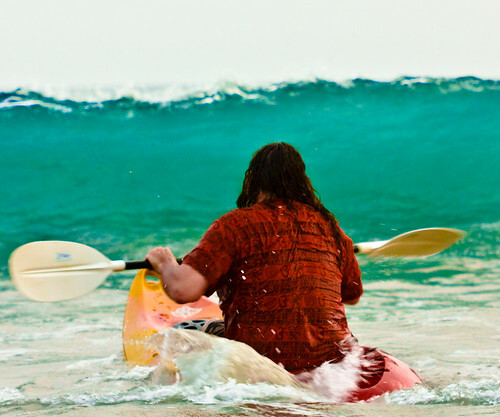 Kayaking and canoeing can be enjoyed on the rivers, lakes or the sea here and are some of the few water-based activities in Goa which can be undertaken all year round. You can opt for the breathtaking white water canoeing, or choose the calm waters of the lakes. Kayaking is ideal for those who want to explore the spectacular caves which surround many of the local islands. Of course, there is more to Goa than its waters. If you want a land based activity, hang gliding comes highly recommended. Goa is particularly well suited to hang gliding throughout the summer months. All of the necessary equipment is supplied and operators provide full instructions so that the activity is carried out safely. Trekkers also love to visit Goa, as the Sahyadri Hills are full of challenging trails which offer amazing views of the local area. You can choose to go on a trek alone, or as part of a group. You can also go rock climbing here if you wish, as the hills are well suited to this activity. Most of the operators which hire out equipment for this activity are based in Sanguem, Mollem and Valpoi. If you want to get out on the water and have a great time while you are visiting in Goa, why not yacht around the peaceful landscape of the Arabian Sea? You will find that Goa has some truly amazing options when it comes to taking cruises on the Goa, and you will definitely want to explore some of them for an experience that you will not soon forget. Many of the best yacht trips can be found at Miramar Beach as well as Candolim Beach. If you are looking for a short river cruise, however, the Mandovi River is your best cruise option. Wakeboarding is another adventurous activity that you will definitely find to be extremely fun and exciting. This particular water activity is similar to water skiing, except you will be on a single board that is towed behind a boat, allowing you to glide over the water. While wakeboarding may be one of the newer water sports, it has become extremely popular in Goa, and there are numerous places that you can go for it. Candolim Beach, Rajgbaga Beach, and Mabor Beach are three of the best places for wakeboarding. If you really enjoy hiking, you will definitely want to check out some of the different spots that Goa has to offer for this outdoor activity. Go inland to trek through the beautiful landscape that this area of the country has to offer. 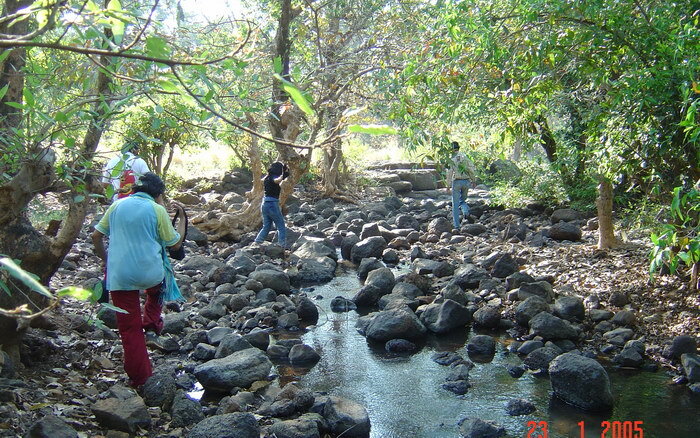 Many visitors go hiking in Goa, primarily because of the idyllic scenery. If you are planning on visiting this part of India after the monsoon season between October and December, you will definitely want to hike around the Dudhsagar Falls, where you will find a breathtakingly beautiful cascade of water flowing down from 1,000 feet above. There are also a number of different places where you can go to spot wild animals in Goa, including boat expeditions that will allow you to get an up close view. You may be able to see some of the crocodiles along the Mandovi River if you are lucky, as well as freshwater dolphins swimming by the estuary. If you are interested in bird watching, you can go to the Dr. Salim All Bird Sanctuary, which is a 440-acre mangrove forest located near the capital city of Panaji. For a true adventure while you are in Goa, you should definitely look into white water rafting down the Mhadei River. This outdoor sport was recently introduced in Goa by the Goa Tourism Development Corporation, and it is available for anyone who visits this area of the country. You will find that there are plenty of white water rafting opportunities, each of which will provide you with a truly unforgettable experience. It is important that you follow all of the necessary safety measures when engaging in this activity. The best time to go rafting in Goa is during monsoon season, which begins in June and goes through to September. Image Credits: pulguita and Abhisek Sarda. Wife and I are planning a trip to India in Mid 2013. Goa looks very nice so may have to include that on our itinerary. Looks very pretty and not as crowded as other major towns. We Coldfeet Adventure is always committed to develop the eco-tourism and sustainable tourism in Nepal preserving Nepal’s cultural and historical heritages. Furthermore, we are always dedicated for offering the safest and quality trekking services available in Nepal. Sure, you will experience the pleasure of finding and pursuing a passion for travel here which will give you the deep sense of satisfaction. We are always ready to make your journey worth remembering for lifetime. Coldfeet Adventure welcomes you for various trekking, rafting, sightseeing tours, jungle safari, mountaineering, expeditions, mountain flights, pilgrimage tours, mountain biking etc. Also we organize the trekking and tour in Bhutan,Tibet and India also.We provide you the best services for all our packages. Great article but I would have liked to see a bit more about ‘on dry land’ as there are some great nature sanctuaries within Goa that are easily accessible via taxi or bus. I only mention them because I enjoyed going to Bondla Sanctuary so much when I visited Goa last year. Good Article with Best Valued information. I enjoyed it ! ” Travel Busy ” website is really awesome and can be compared with some popular websites in india like tripadvisor , bestadwise.com , etc..
We Absolute Himalaya treks and expedition is always committed to developing Tourism in Nepal. We provide different services of tour and trekking in Nepal. Our packages are customized i.e. you can also customize those packages under your requirements. For different adventure, hiking, holidays, trekking, paragliding, rafting remember us.